MS 410 Thomas P. Cuffe Collection. Gift of Mary C. Schiendler. The McCracken Research Library receives hundreds of collections of journals, notebooks and photographs annually. Often, library staff are not able to go through it all. But when library fellows come in to research their own interests, many unknown gems are exposed. This is what happened with a collection of military records and photos of a Buffalo Bill performer. Mary Robinson, the director of the McCracken Research Library, said a fellow came in who was doing work on military performers in the wild West. 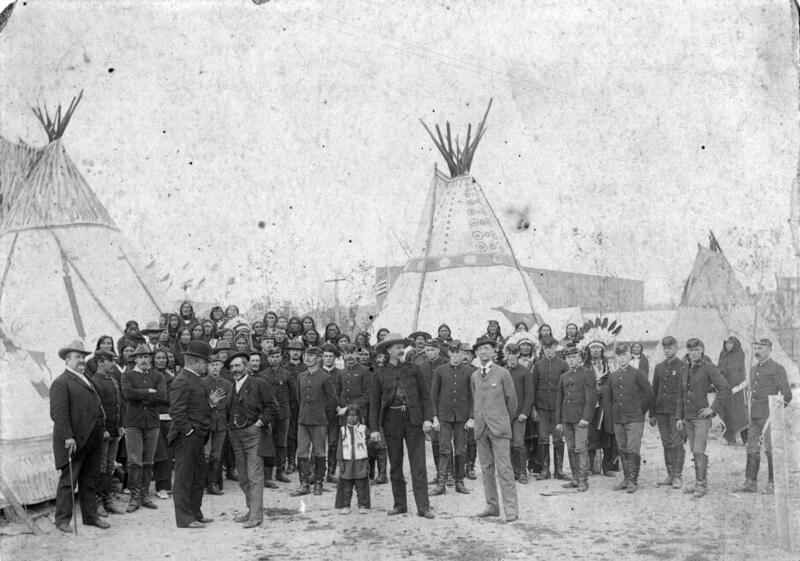 It turns out it was a cast photo of the Buffalo Bill Wild West show, which is nothing special, but Robinson said this one was very unique. “What really amazed us, was standing to the left in a conversation with Nate Salsbury who was [Buffalo Bill] Cody's partner, was none other than the artist Frederic Remington,” said Robinson. It was known that Remington and Buffalo Bill knew each other but this was the first photographic evidence of them together. Buffalo Bill Cody’s two-story childhood home stands in the courtyard of the Buffalo Bill Center of the West. It’s the largest object in the Center’s collection. In May 2017 Barnum and Bailey’s staged their final show. However, in their earlier years, the entertainment titans had a connection with Wyoming. Stories about domestic abuse, burlesque dancing, Buffalo Bill’s chef, and learning to read.